Martha Yar loves to laugh. In her free time, you can often find her telling jokes to her school mates or with her nose buried in a funny comic or story book. Cartoons because make her smile and is very good at dancing and singing in church. The most influential people in her life were her parents when she was young, but now that they have passed, her Aunty is now holding that place in her heart. When asked who she admires the most she said ASAH and the people that make it an organization, because of all the good care that ASAH has shown and given her. Martha will turn 16 on June, 28th and she started her first term in Primary Seven (P7) last month. Her favorite foods are chips (french fries) and chicken, and she is happy whenever she has a chance to eat them. Of all the colors that surround her, she loves red the most. Martha has taken the hardships that she has endured and turned them into a spirit of helping others. 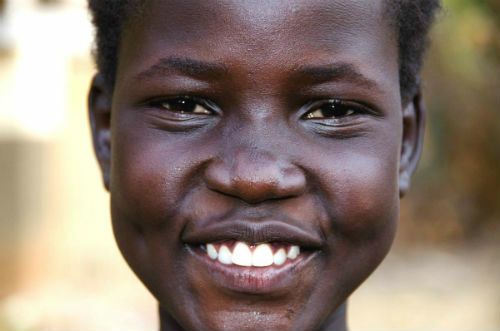 One of her biggest goals is to help her community met their needs and have peace return to South Sudan. When she gets older she wants to become a teacher. Currently she loves to study and finds and her favorite way to be helpful is to help others study as well. Martha loves math and social studies. She wants to learn all about Uganda now that she lives there, which is one of the reason she loves social studies class so much! Animals play a large role in Martha’s interests. She loves smart cats, and if she could visit anywhere it would be Kenya because of all the amazing animals that attract tourist there. Martha says that her favorite memories ever were seeing animals at the safari park and going swimming! When asked what was a nice thing that has happened to her so far this year, her answer was reflective and sobering. “Nothing has happened to me this year apart from being in P7 class. This is because I was sick for almost two months and also my grandparents were killed” she replied. It’s hard to focus on nice things when surrounded by past and recent tragedy. The fact that she loves to laugh and constantly seeks out ways to make her and the other girls smile make me so proud of her spirit and strength.